A FORMER Westfield Carousel tenant says the shopping centre’s paid parking policy is distressing employers and employees alike. Daniel Naidoo said business owners and staff were sick of the policy, with some owners even forced to pay for staff parking. Westfield Carousel introduced paid parking last year, to the chagrin of shoppers and employees alike. Parking is free for customers who spend less than three hours at the centre, hold a valid Acrod permit or enter after 5.30pm. Staff receive a discounted rate of $2 for up to four hours or $3 for the whole day, but Mr Naidoo said employees were feeling the pinch and some tenants were being forced to dip into their own pockets to pay for their own staff’s parking. “People work different times,” he said. “If they come at 10 or 11 o’clock, they can’t get staff parking because it is full. They have to park in public parking and it’s full price. 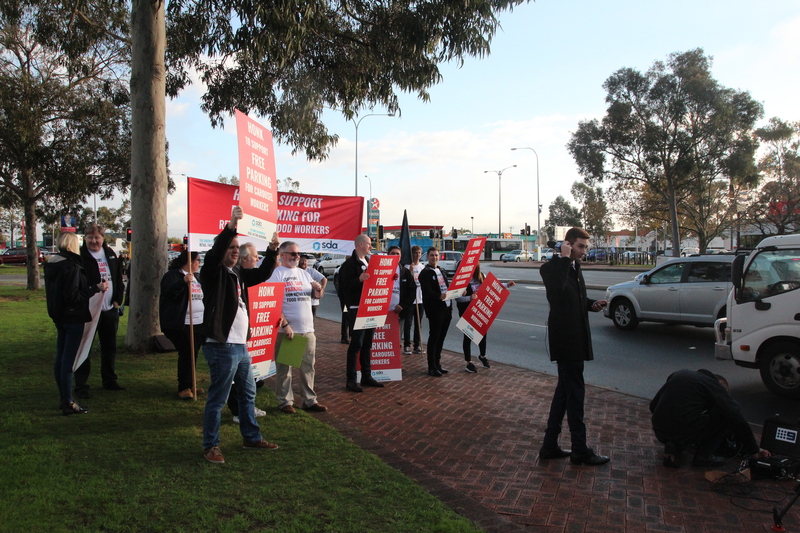 Westfield Carousel staff protesting paid parking in May 2018. Mr Naidoo said even if staff found a bay in the staff parking area, the enforced payment parking was still hurting employees. “There were four staff members that were permanent; they paid $3 a day for parking,” he said. Mr Naidoo’s store in the old food court closed in December. He said his franchise was one of four in the old food court that had gone under since Westfield Carousel opened its new rooftop dining precinct in September 2018. “We continued our leases hoping the centre would get better but it just got worse, which meant we weren’t making money and couldn’t meet our obligations in terms of rent and commitments,” he said. Mr Naidoo said the old food court could not compete with the new dining precinct, especially given its extended trading hours. “No one is going to renew their lease to stay and continue trading when you have a new area, which has all the facilities after 5.30pm and free parking; that’s not a fair go for us,” he said. 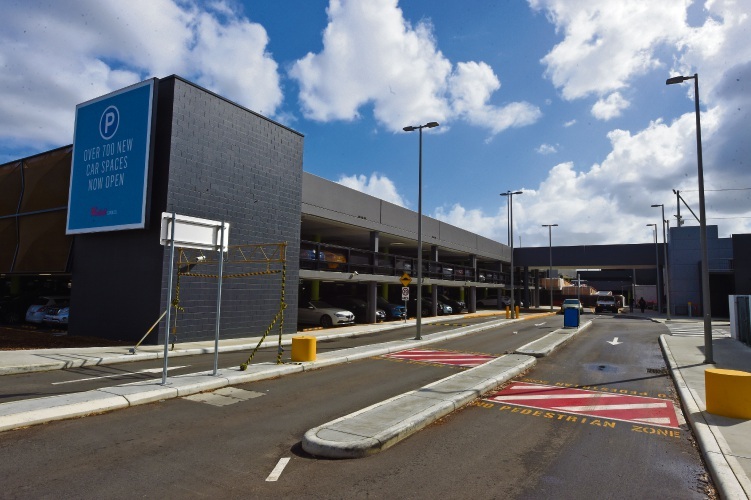 A corporate affairs spokesperson for Scentre Group, which manages the shopping centre, did not address specific questions from the Canning Times about changes affecting staff parking at Westfield Carousel. Instead, they sent a statement outlining transport options for customers and workers and highlighting positive feedback received since the launch of the rooftop dining precinct. The City of Canning council will vote on the introduction of parking prohibitions along Grose Avenue, Pattie Street, Cockram Street and Greenfield Street, all within walking distance of Westfield Carousel, next Tuesday.